To prepare this recipe, start by putting the steak, salt, pepper, fresh garlic, onion powder and vinaigrette dressing in a ziptop bag. Shake. Let marinate for a minimum for 2 hours. Next, cook the steak your preferred cooking method (we recommend grilling). Once the steak is cooked, allow to cool slightly before slicing into bite-size pieces. 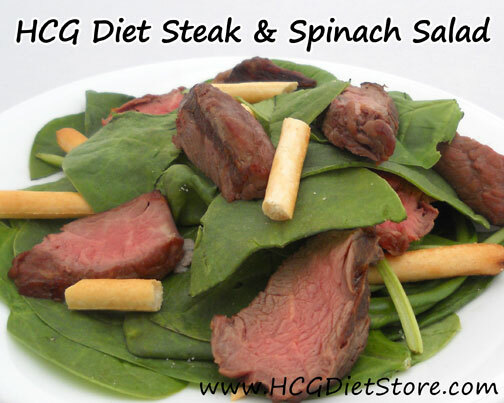 Place spinach leaves onto a plate, top with sliced meat and 1 Grissini Breadstick that is broken into several small pieces as 'croutons'. Then toss with allowed salad dressing, here is the brand that we recommend.